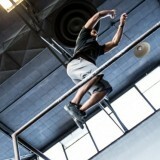 In Part 1 of this series I presented the idea that parkour training is incomplete without an organized training plan. The majority of parkour practices follow the theme of seeking out new challenges. High frequency of activity such as this, that is both intensive and specific equates to an increased chance of overtraining symptom or injury, particularly for athletes with higher outputs. In addition to lacking any long term planning for an athlete, haphazard practices also lack a thorough foundation of GPP, which can determine future specialized potentials. Thus, not having a more accountable training method can cause injury, frustration, and loss of motivation, all of which can lead to a drop off from training entirely. Intensive stresses to the CNS are the first thing that should be identified in a training plan. In Part 1 we categorized the types of activities that can be identified as intensive. Not all of these activities have to take place on challenging obstacles. In fact, an athlete is missing out on some major power development by limiting their practice to environments that force adaptation and dictate their potential output. Training in a variety of challenging environments is absolutely crucial to reaching a level of mastery with parkour, but it is not in these environments where power development should take place. Maximum outputs are performed without any of the restrictions found in a competition scenario (fatigue, complexity of environments, time constraints, etc). As we concluded in Pt. I the art of seeking out challenges is much like a competition. When attempting a challenge you will have to adjust to the given environment and its obstacles. These adjustments do not always allow you to produce maximum outputs compared to performing the same movements in a controlled setting. Just think about all the things that could force you to change your technique while trying to hit a jump, including but not limited to: bumps or tripping hazards in the ground, heights, a precise ledge from which to take off, something hanging overhead that forces you to duck, a limited amount of space for run up, and anything else that makes the move that much more challenging. All of these obstructions, and learning to adapt to them, are exactly what immersing into parkour is all about; but these obstacles limit potential maximum outputs. Therefore, if you’re trying to improve maximum outputs you have to rethink where and how you’re doing it. Structures and environments we battle during parkour activities restrict our potential output in a similar way to battling an opponent in a team sport. For example, if an athlete were in a gym and performed a maximum jump onto a mat, the output of the jump would be greater than performing a jump on the street with a more precise take off, and harsher landing surface. A more precise take off forces the athlete to slow down and be more cautious; the same could be said about preparing to land on a concrete wall. Another example could be a rail kong-pre with a limited approach, compared to performing a kong on a wooden box in a gym with as much approach as needed, and a mat to land on. The gym kong will undoubtedly have greater output (more power will be expressed); thus most, if not all challenges completed outside are submaximal, when compared to the maximal outputs expressed in a controlled setting. Many of us learned how to do particular vaults and jumps (or even flips and tricks) using soft surfaces and objects, but stopped as soon as the fear subsided and we felt like we had learned the skill. If this sounds like you, consider this: by periodically removing environmental constraints in training you can focus more on technique and power output. Many advanced practitioners will dismiss fundamental skills like a kong as being really simple. Well I have news for you: nothing is too simple. It is the simplest of technical cues, such as the swing of your arms, the drop of your hips in a take off, or where your head is looking at a precise moment that will make the difference in how much power output you have. In this sense a movement is only simple until efficiency, speed, and power are considered. To focus on the technical detail required to improve output an athlete really needs to remove environmental restrictions. In our program we have advanced athletes practicing maximum output skills onto mats all the time. It relieves them from impact and lets them focus on power. Later on, or sometimes in the same session, the athletes will apply the skill to a more complex scenario. You can develop power systematically by performing movements in a controlled setting. 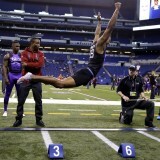 For example: an athlete regularly maxes out on running precision jumps of about 11 feet. At the beginning of a program the athlete performs a test in a gym, and, because of the controlled environment is actually able to clear 12 ft. With a dedicated program consisting of many maximal efforts performed in a controlled setting it wouldn’t be surprising to see that 12 ft increase by a whole foot or more. Suddenly an 11 ft running pre is very submaximal. The athlete will not only be able to perform bigger running precisions, but also repeat the 11 ft pre’s more frequently, and with more variety due to an increased power reserve. A power reserve is attributed to possessing more output than what a given activity requires; thus enabling the athlete to perform more repetitions of the jump that was previously maximal, and have more potential to add movements before or after the jump. 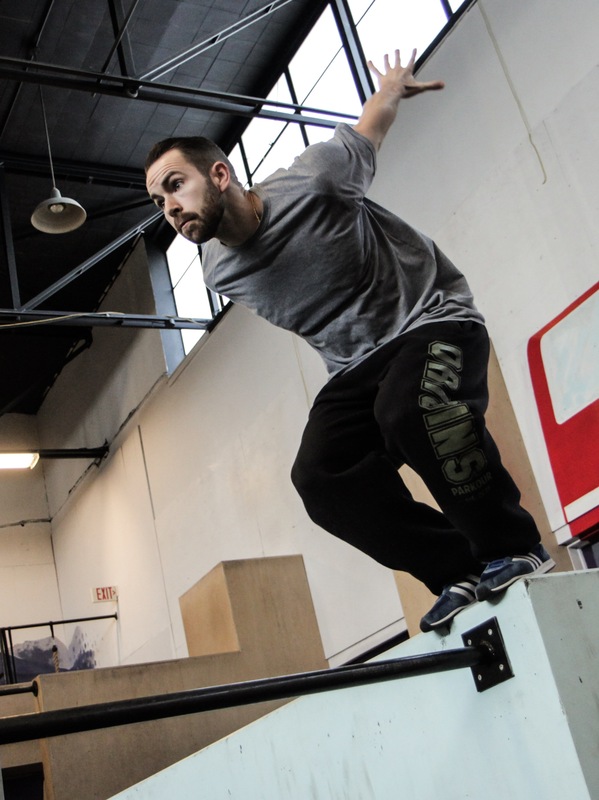 Developing output in controlled settings can be done with a variety of movements, but one of the simplest and most beneficial movements to practice for parkour is a short sprint. Practicing short (10 – 40 meter) sprints without any jumps involved is the easiest and most accessible exercise you can do. A more efficient, and faster approach will equate to more output in a take off for any jumping movement. Being faster also develops a speed reserve, and having a greater speed reserve will increase your work capacity because most challenges do not require you to run at 100% velocity. The most effective way to develop a faster approach is through linear sprinting. If the only time you practice running is when you are approaching a jump, your running is probably, well… trash. But you can start fixing that! I recommend starting with 10 – 20 meter sprints with easy effort (about 70% of maximum speed) before doing any full effort sprints. Sprints should be done twice a week at the beginning of a training session. Most athletes will benefit from just 6 – 10 sprints per session. Rest and relaxation is obligatory in between reps, as it is in between attempts of a challenging jump or line. 1. The direction of the movement, and its range of motion. Direction of movement is often overlooked when accounting for the dynamics of a maneuver. The range of motion is typically quite clear, but the direction of force needs to be carefully analyzed. This becomes critical when designing SST means with exterior weights. Verkhoshansky, Yuri & Verkhoshansky, Natalia. 2. The accentuated point of force production. At what point in the movement does the production of force peak? In regards to most dynamic movements it is at full extension that force has peaked. For example, if we freeze-frame a jump when the hips, knees, and ankles have reached extension and the arms are overhead. 3. The velocity and duration of force production. How fast is the maneuver and for how long does it occur? In regards to a-cyclic maneuvers (jumps, kongs, wall runs, dynos, etc.) we are only assessing one repetition. 4. The regime of muscular work. Which muscle groups are involved in the maneuver, and at which point is each one engaged, and which muscle groups are most dominant? The last factor is the most difficult to address without an EMS machine and loads of data, but here we have to use some common sense. We know, for example, that a standing vertical jump requires muscular work predominantly from the glutes, hamstrings, calves, and quadriceps. By also studying the accentuated point of force production we can see that the glutes/hamstrings (hip thrust) are responsible for most of the force output in the jump. We will also look at the movement of the arms and the whole body to account for the entire motor pattern. So to design an SST exercise or drill we have to first isolate the part of the maneuver being trained and account for the biodynamics of the movement via Dynamic Correspondence. In other words we have to fully understand what the movement looks like. The task of creating an exercise to develop the movement then involves an abundance of critical thinking and creativity. Most talented coaches will develop a knack for this out of experience. When asked to explain why a certain exercise is being used they will often give a very simple, yet rational explanation. Note: “Because its challenging” is not a good or rational reason to do an exercise to get better at parkour. Common equipment used for special strength exercises are weight vests, ankle/wrist weights, sleds, boxes (for jumping/plyometrics), and inclined surfaces (hill jumps/sprints). It is much easier to mimic the biodynamics of a sport maneuver with added resistance when the body is free to move parts as it would during the actual sport maneuver. 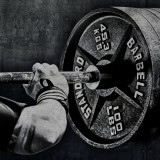 For this reason it is more difficult to use barbells and machines for these types of exercises. In Part I, I introduced the concept of a pyramid to describe the foundations and peak of sports performance. The foundation of the pyramid is made up of general physical preparation means, whereas the peak of the pyramid is comprised of specificity training. Specificity is what will make the most immediate improvements in sports performance. The problem with over generalized training is that eventually gains in general exercises will have diminishing returns. For example an athlete who has very low strength can use a Barbell Squat to build strength and will likely improve their jumping output. However, once the athlete has reached a certain level of strength in the Squat, increasing the squat will do only that and the athlete will have diminishing returns to their jumping ability. Therefore a coach or athlete must use more specific means in their training to improve their ability once a certain level of general ability has been realized. SST exercises have a greater transfer of training, because they are more specific to the sports maneuvers. So once a general strength movement like a Barbell Squat has been exhausted, a more specific exercise must be used to further develop strength as it relates to jumping. There are a variety of specific exercises for jumping including, but not limited to, weight vest box jumps, box squats to jumps, jumping barbell squats, and jumping kettlebell squats. It is crucial not to overload SST exercises because too much weight will change the dynamics of the movement. An example of this can be seen with sled sprints; Sprinters will tend to drag lower weights to practice an upward, top speed position, whereas football players will drag or push heavier weights to practice powerful accelerations. The sprinter would not be able to mimic the position they need for top speed if there is too much weight on the sled. The additional weight would cause the sprinter to lean forward, which is what makes the exercise more useable for a push or acceleration movement, but terrible for training top speed. This is a common mistake made in strength & conditioning. 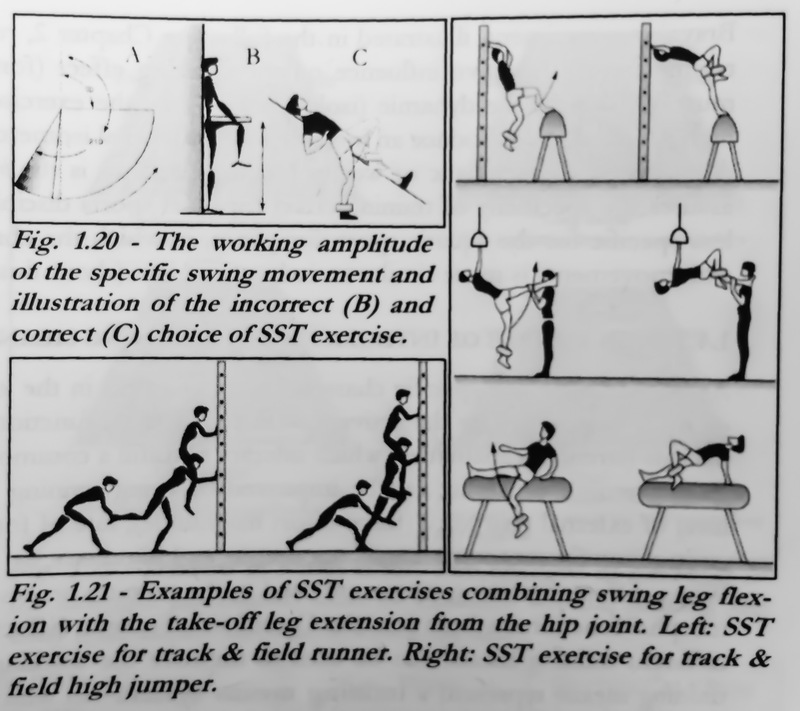 It is because of this mistake that many SST means have been branded as ineffective by coaches and researchers who have neglected the Principles of Dynamic Correspondence in their work. So what is popularly described as “Sport Specific” training is not what Dr. Verkhoshansky intended at all. 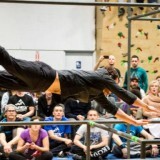 Many maneuvers in parkour already exist in other developed sports like track & field and gymnastics. As an athlete or coach you can look to track and gymnastics training for special strength ideas. With a good imagination and some critical thinking you can also come up with your own exercises to increase outputs in all fundamental skills. It is imperative when selecting exercises that you consider programming implications, such as recovery, CNS stress tolerance, and how compatible the exercise is with a workout. Remember that in order to recover and adapt to training you can not perform maximal efforts in every session. In Part III of this series I will establish some guidelines for low intensity and submaximal training sessions. wow amazing articles to read. thanks for making them. This is excellent. When can we expect to see Part III of this series?